I think it’s safe to say that we are witnessing a generation of women with growing concern of what they consume, be it food, medications, supplements, toiletries, cosmetics, skin care, and many more. Think what you apply “merely” on the external doesn’t count? Think again. Scientists have proven that chemicals in cosmetics can penetrate the skin into the bloodstream and internal organs. They may irritate your skin, trigger allergic reactions, disrupt hormones, and even cause diseases. This is why we should be more cautious of what is being absorbed into our skin. One famous ingredient that can be found in baby powder, lotions, body and shower products, eye shadow, foundation, lipstick, feminine hygiene products, deodorants, and face masks is TALC. By definition, talc is a mineral, produced by the mining of talc rocks and then processed by crushing, drying and milling. Processing eliminates a number of trace minerals from the talc, but does not separate minute fibers which are very similar to asbestos. How does one look for the presence of talc in a product? Scan the label for “talcum powder”, “cosmetic talc”. And what are the concerns about talc, you ask? Here I list down a couple of major hazards that are posed by the substance. Just think about the amount of talc that has been consumed by us, even our babies?! Women, infants, children, miners, millers, and processors of talc are the major populations that are vulnerable to talc’s harmful effects. I strongly urge ladies to avoid personal care and cosmetic products containing talc, especially if it is used in the pelvic area. Another way is to choose products and companies that certify their talc is free of asbestos. 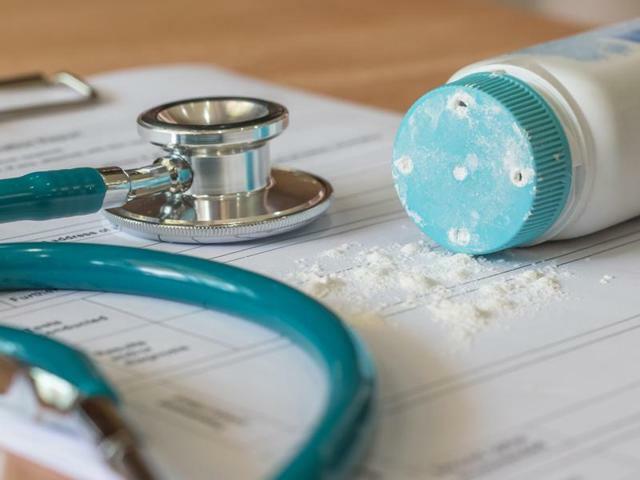 Nevertheless, even asbestos-free talc should be avoided in the pelvic areas. 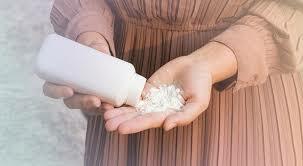 Our best bet is to steer clear from talc and use products with its alternatives instead, such as mineral powders. We encourage reader here to become avid user of Sutrina’s makeup which is free of talc, uses premium organic ingredients, with no chemical whatsoever; because I care and need to be aware of what I put into my body. Mama, I want to put on make up just Like You! Mommy, please don’t hurt me!